GBP is staying under pressure due to the Brexit issue. 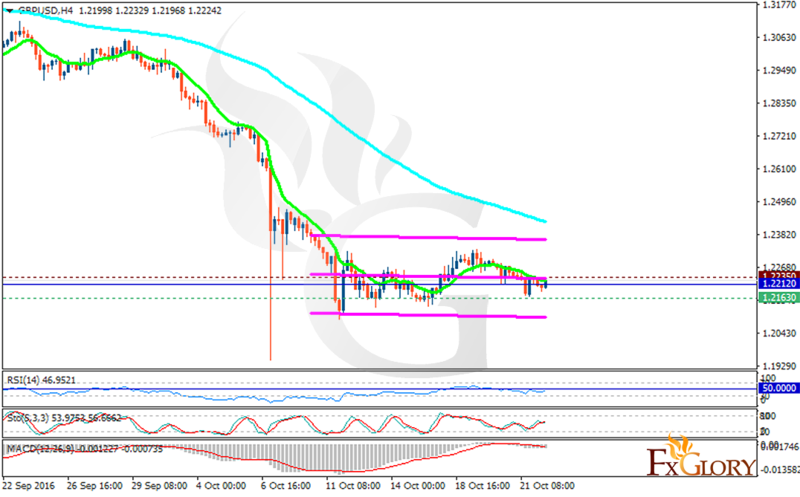 The support rests at 1.21630 with resistance at 1.22350 which the weekly pivot point at 1.22120 is located in between the lines. The EMA of 10 is moving with bearish bias and it is located below the EMA of 100. The RSI is moving on the 50 level, the Stochastic is moving in neutral area and the MACD indicator is moving towards the negative territory. Just like last week, the pair will be fluctuating within the channel between the support and resistance areas.